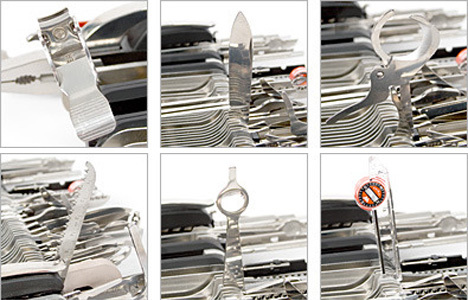 You might be under the foolish assumption, as so many people are, that Swiss Army knives are meant to be carried around in one’s pocket to assist with everyday tasks. 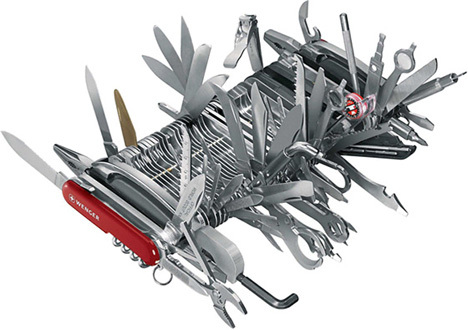 In fact, the purpose of any Swiss Army knife is to be so ridiculously gigantic and packed with parts that it is ultimately almost too difficult to even pick up, let alone use. At least that’s what Wenger seems to believe. Wenger is the official maker of the real Swiss Army Knife, and for the 100th anniversary of the iconic knife they decided to do something that’s never been done before: they made a super-sized version. The three-pound knife boasts 85 tools and 141 functions, making it the world’s largest Swiss Army knife according to the Guinness Book of World Records. 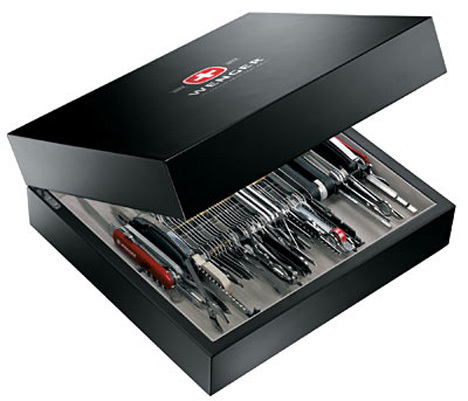 The insane list of tools includes everything from various blades, screwdrivers and saws to bike tools, hex keys, a flashlight and – of course – a toothpick. It’s everything you need to survive just about any situation life can throw at you. If you can’t live without the massive feature-filled knife, be prepared to brown-bag your lunches for a while to save up: it’ll cost you around $900 on Amazon. See more in Various Gizmos or under Gadgets. September, 2011.